Prominent & Leading Manufacturer from Navi Mumbai, we offer high level aldecide ch disinfectant, microquell surface disinfectant, hand wash disinfectant, aarshol d food industry disinfectant, fumigant disinfectant and bionil disinfectant. 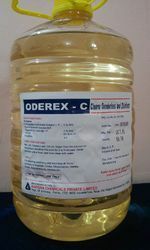 We are one of the biggest manufacturers and suppliers of High Level Aldecide CH Disinfectant. High Level Aldecide CH Disinfectant is very fast acting disinfectant used in hospitals and laboratories. The mode of operation of Aldecide CH Disinfectant includes, rupture of cell membrane of micro-organism and affecting their DNA, RNA and protein synthesis. Our company is engaged in offering a wide range of Microquell Surface Disinfectant. 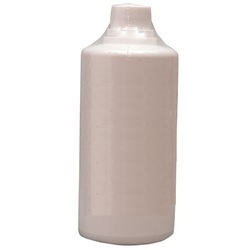 We are leading manufacturer of Hand Wash Disinfectant and our product is made up of good quality. In addition to this, the offered Aarshol D Food Industry Disinfectant has a long shelf life so can be used for longer period of time. We are leading manufacturer of Fumigant Disinfectant and our product is made up of good quality. Bionil Disinfectant is a very powerful and stable oxidizing disinfectant. Bionil-C Disinfectant is a very powerful and stable oxidizing disinfectant. We are one of the front-runners in the league of manufacturers and suppliers of Water Disinfectant. This range is processed from quality assured ingredients by using advanced tools and equipment. Offered by us at industry leading prices, this range is known for its effectiveness and compositional accuracy. We are engaged in offering the wide range of Microquell Eco High Power Disinfectant. We are offering High Power Disinfectant to our clients. Formulated under the supervision of our highly experienced professionals, this range is used as disinfectant.